Insurance is weird. Can this brutal truth improve consumer perception? 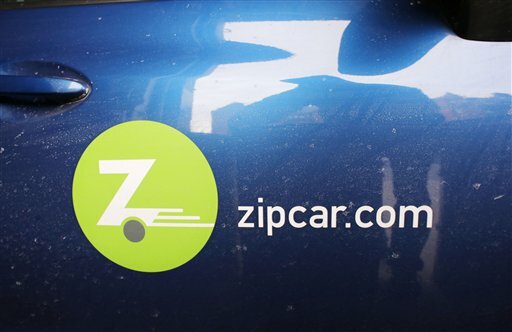 ZipCar and other fashionable consumer brands are built on the same "sharing economy" model that insurance pioneered. If the insurance industry is serious about closing the gap that exists between its intentions and consumer perceptions, acknowledging weirdness could be the thing that does the trick. By “weird” I do not mean intangible, complex, negative, time consuming or any other adjective that could also describe other products and services. Weird, in this context, means totally counterintuitive as compared to other products they buy. The product doesn’t work unless many people buy it. Think about it. Your toaster would still work if you were the only one who ever bought it. Insurance can’t work without a large pool of people participating. You can’t buy the product if you are already in need of its benefit. If you have no iPhone and you are desperate for mobile communication, you can buy one and be up and running the same day. With insurance, if you become sick, disabled or crash your car, it’s not possible to buy insurance to fix the problem that already happened. Money alone can’t buy it. If you walk into a Rolls Royce dealership with a wad of cash big enough to buy a car, they will sell it to you. With life insurance, you pay with green currencies, but you also pay with yellow and red ones, too. In other words, pay with information that shows you will be a good risk in the future. To those of us in the industry, this is not weird at all. However, do you think the majority of consumers understand that? Probably not. This kind of weirdness could drive every dispute the industry has ever had in relation to contestability, pre-existing conditions, exclusions and even the hassles of underwriting. If the consumer does not win, the insurance industry gets blemished, even though the insurance company was right. Perhaps the weirdest way to summarize all of this is that insurance is the only product manufactured where the customer is also its raw material. One of my colleagues pointed this out to me during a recent engagement with a life insurance company. I was stunned, then very excited. Why? It gives us a new way to look at the problem, and potentially a new lever to pull in solving it. Perhaps the key to improving consumer perceptions is not just to focus on educating consumers about why they should have insurance, how much they should have, what their rates and benefits are, and the financial strength and reputation of the carrier. Perhaps we need to put equal weight on helping them to see the bigger picture of how insurance really works, thereby “un-weirding” it. Un-weirding insurance does not mean removing those weird characteristics. The flip side of the weirdness is what makes insurance wonderful. What other product can you purchase, make one payment, and then if something happens right away, there is a benefit payment that is many multiple times the amount you put in, and, there is never any more owed? That’s what sharing risk vs. self-insuring is all about. Collaborative consumption (i.e. the “sharing economy”) is now fashionable. People are sharing homes, cars, lawnmowers and all kinds of things instead of owning them outright. New businesses (AirBnB, Redbox, ZipCar) are being built on this model. Ironically, insurance is the original sharing model. If consumers see insurance as a one-to-many relationship vs. a one-to-one relationship with an insurance company, would it change attitudes, behaviors or respect for the category? Would it help people understand why their rates are what they are? Would it create peer pressure to take better care of themselves to keep insurance rates lower? If I could do just one new thing to help close the perception gap, it would be to enlighten the public that insurance money doesn’t come from the sky. Is it time for retirement to retire? Industry reinvention: Horror story or opportunity?